Rabbit anti Mouse Albumin antibody recognizes mouse albumin, a serum hepatic soluble protein which constitutes approximately 50% of blood serum protein, acting as a regulator of blood colloidal osmotic pressure and hence blood volume. Albumin is also an important transporter of substances within the bloodstream, such as fatty acids, thyroid hormones, metal ions and steroids.  Rabbit anti Mouse Albumin antibody (AHP1478) may cross-react with albumin from other species. Antiserum to mouse albumin were raised by repeated immunisation of rabbits with highly purified antigen. Kovtunovych, G. et al (2010) Dysfunction of the heme recycling system in heme oxygenase 1-deficient mice: effects on macrophage viability and tissue iron distribution. Ruseva, M.M. et al. (2013) Loss of properdin exacerbates C3 glomerulopathy resulting from factor H deficiency. J Am Soc Nephrol. 24 (1): 43-52. Vernon, K.A. et al. (2016) Partial Complement Factor H Deficiency Associates with C3 Glomerulopathy and Thrombotic Microangiopathy. J Am Soc Nephrol. 27 (5): 1334-42.